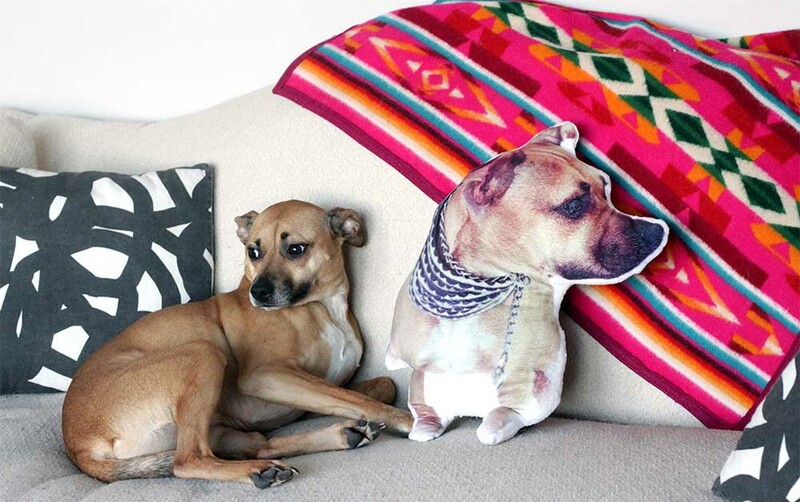 One of our favorite custom-fabric projects of all time is the doppelgänger dog pillow. Originally dreamed up by Spoonflower co-founder Stephen, this brilliantly clever pillow was designed for Ruby, the first of the two rescue dogs that have come to live in Stephen and Kim’s home. Since then, the project has exploded — and we’ve seen everything from hedgehog to bunny rabbit versions stitched up by our customers. Get inspired and learn to make your own snuggly pet pillow!